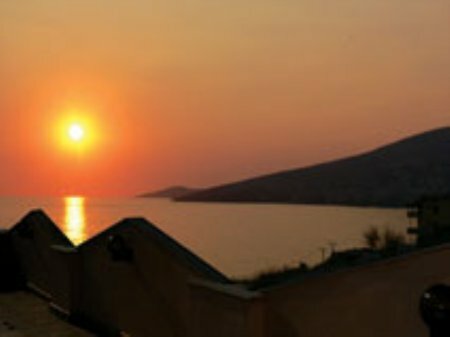 Situated only 2 km from the centre of Saranda, on the road between Saranda and the ancient city of Butrint, Mario Royal Resort Hotel is a good standard hotel. 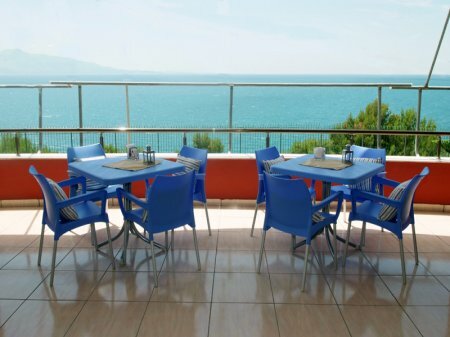 All rooms offer sea view, although some have a side view of the see and a few have balconies facing the sea. The hotel prides itself in its ability to offer a variety of traditional culinary delights. The hotel has 36 rooms of which 20 twins, 8 doubles, 3 triples and 5 quadruples. During the low season (01/04-30/06 and 01/09-31/10) reservations cancelled at least 24 hours, prior to the arrival date, will be fully refunded. Cancellations less than 24 hours, prior to the arrival date, will be charged for the first night. During the high season (01/07-31/08) reservations cancelled at least 72 hours, prior to the arrival date, will be fully refunded. Cancellations less than 72 hours, prior to the arrival date, will be charged for the first night.